The goals came fast and furious in a five goal first half as Sigma Academy defeated ANB Futbol 7-1 at Hershey Centre on Saturday. Jordan Stoddart was the hero of the day, with a first half hat-trick and four goals total in just over sixty minutes of play. The first goal came just four minutes into the game. Attacking down the flank - where Sigma had all kinds of space on the day - Alex Halis sent a perfect ball into Stoddart who had a wide open net. It wasn't the last time Stoddart would be the beneficiary of great wing play. Just eleven minutes later, there was Emery Welshman going on a run down the right wing. In space, his pass was on its mark as well. Stoddart was again in the right place, and again the keeper had no chance. The hat-trick came in the twenty-first minute. It was a familiar play. Welshman burst past his man on the right and fed a pass through towards Stoddart. The forward had a bit more work to do this time, fully extending to the left to get a toe on the ball and poke it by the keeper. At 3-0 Sigma appeared to focus on playing from the back. Rather than push aggressively to beat down a discouraged opponent they tried to keep the ball on the ground and to work plays. Still, the goals came. In fact, the fourth came just two minutes later when Manny Morgado got his head to a Halis cross. Halis took it himself in the thirty-fifth minute, sending a hard shot from seventeen yards past the keeper's right to make it 5-0. The scoring slowed in the second half. Stoddart would get his fourth off a cross from Kwame Awuah, but ANB would also get on the board. 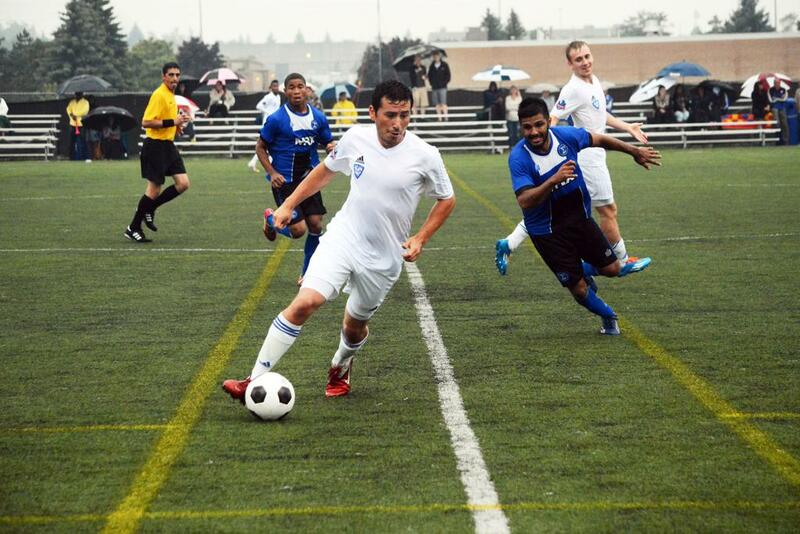 Belrum Vartanian took advantage of some confusion at the back to fire home from fifteen yards. That would be all the scoring until stoppage time when Mike Matic scored to make it a lopsided 7-1 to Sigma.